Significant Terms: 18+ new players only. Offer valid until further notice. Minimum deposit £10. Maximum amount of tickets is fixed at 120. Tickets will be awarded to 4 specified rooms only, 30 tickets per room. Max 6 tickets per game. Winnings in real cash. Deposit balance is available for withdrawal at any time. General withdrawal restrictions & Full T&Cs Apply. 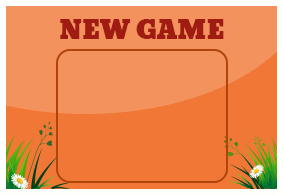 Welcome to Farmyard Bingo – the greenest bingo pasture you’ll ever find! 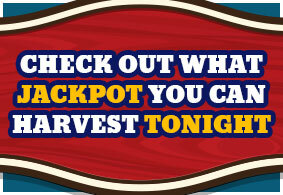 Harvest your rewards in real cash and play to get your win! Get your ducks in a row, because we’ve got a jackpot game running every day where you can win real cash! Plus, our Penny Piglets and Happy Eggs bring you real cash wins for just 1p! 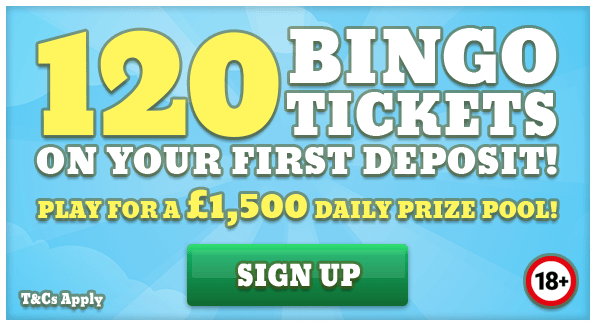 Live high on the hog with Farmyard Bingo! 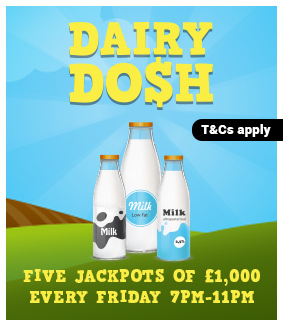 And remember to check out the Dairy Dosh every Friday for your chance to share £5,000 real cash!